Christmas Gifts for the Kids!! 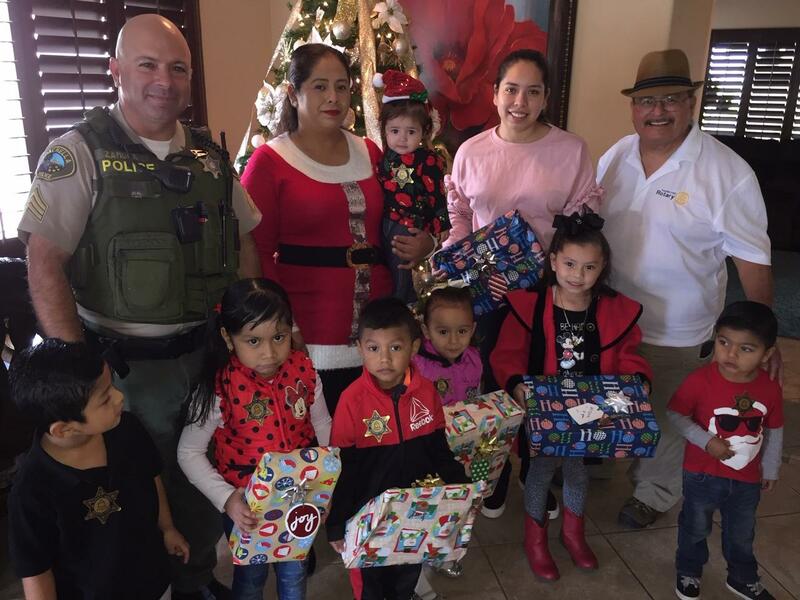 President Rudy Alegria is joined by Cecilia Zamora, day care operator, Sergeant Juan Zamora (no relation) of the Coachella Police Department, and youngsters who happily received early Christmas gifts from our club on December 14. This is the 3rd consecutive year that our club provides early Christmas gifts to youngsters in the east valley.